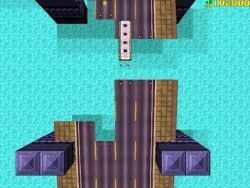 Bikez II is a whirlwind of blood and crime, which unfortunately is stained by poor 3D programming. For every cool part, there is a disappointing segment that will put you off. The regular pursuit and kill-missions are great fun, but the on-bike battles are horrible. They're practically impossible to beat unless your opponent gets stuck in a wall (which happens very often). But it's still an okay game, with some neat features. You could play for a little while, but will ultimately find it unsatisfactory. A disappointing release from the stellar Villegames. Blood, big guns and bikez! 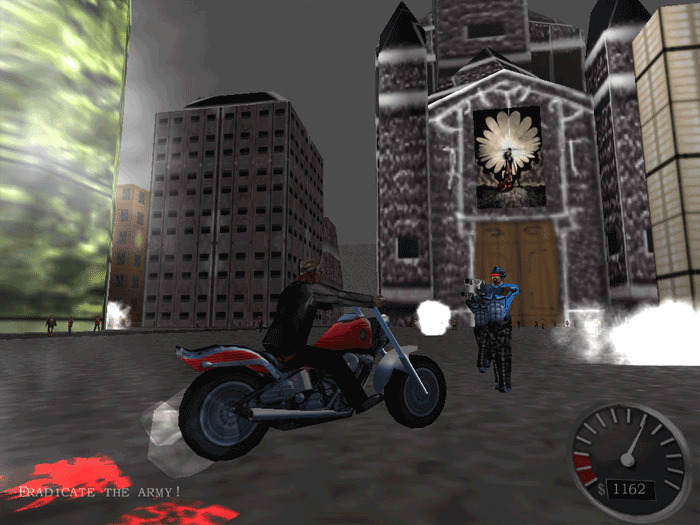 Bikez II is a fast paced action game which involves riding a motorbike and shooting people... sometimes innocent people. 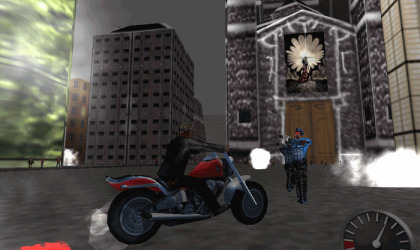 The object of Bikez is to complete missions (with the help of some heavy fire power) so that you can get money (and use it to make your heavy fire power all the more heavy). Killing innocent citizens also earns you money. The 3D graphics are good but the gameplay is lacking. The slow motion option gives an almost movie like appearance. I really wanted to rate it a 75 but it would not let me. This game is ok for people who are bored. I like it, but its not the best game in here. 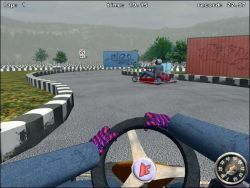 Guys this is a very cool game , you better try it ;). P.S I love this game. This games is excellent. Good graphics and sound.